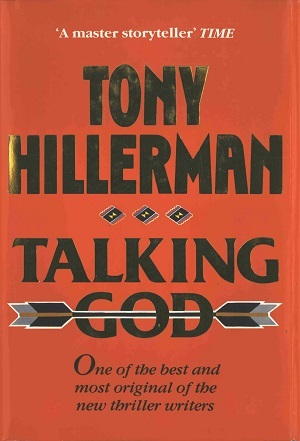 This is the first British edition of Talking God, the ninth book in Tony Hillerman's Navajo Mystery Series. The dust jacket was designed by Leslie Howell and the book was published by Michael Joseph LTD in London, England. Format: Hardback, 24 x 15.5 cm.